I was a techy since I can remember. Usually doing favors for people. Building websites, fixing computers etc. After school, I ended up in Finance. It was during that time that I realized my calling was tech. After leaving Finance in 2013, I started my company out of my apartment in Brooklyn (hence the name). We have a really cool “Brooklyn” Sign. I picked it up at a flea-market in Brooklyn. It’s handmade and always gets looks. The daily hustle, the meetings, the perseverance, the success stories, the late-night client calls. You don’t know it unless you’re in it #agencylife. Our highly technical team build quality apps and websites. We’re easy to work with and we deliver. Companies in various sectors and verticals, including startups, non-profits, unions and games. The design process, which allows us to get creative and innovative. Is there a web campaign from the last year that inspired you or a classic campaign that you draw inspiration from? Last year we did a website for a non-profit that helps educate individuals about having babies. The client loved our work and it felt great to create something special for them and their community. What is the one web design project you are proudest of? Why? Our latest project for one of the largest Unions in the country. It was a lot of work and it tested our teams resilience. I am really proud that we were able to put together a website with almost 1000 pages. The client has been very happy with us. If different from above, what is the most recognized web work you have done? Tell us a bit about it. The Non-profit website, NMPP. Our design was used in a New York City Subway Campaign. We actually got lucky when Presidential Candidate Hillary Clinton decided to ride the Subway and noticed the Ad. We have pictures of her looking at it and smiling. Which one to three brands need to redesign their website? 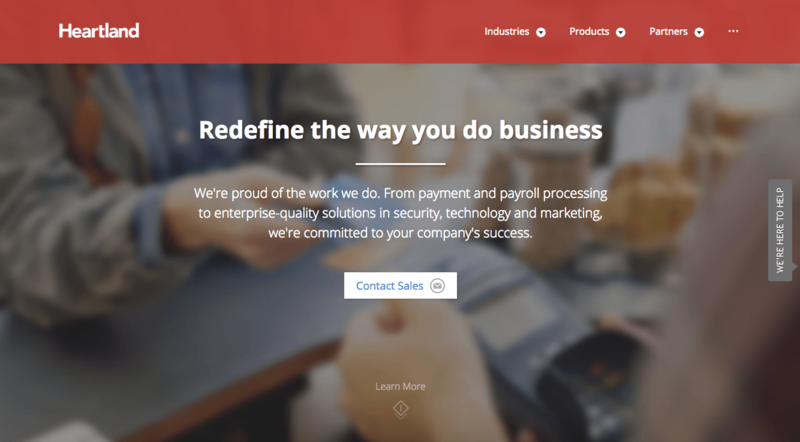 Not a huge brand but pretty big in payment industry – Heartland Payment. Their website can be better. Which one to three brands have a great website? So many Kellogg’s, HUGE (one of our competitors) and others I can’t think of at this moment. What is one thing people don’t know about web design that they should know? I think the biggest thing is that web design, development or what-have you, takes a lot of time and effort. People fail to understand the amount of work that goes into each project and website. It’s not any different than being a good doctor, lawyer or accountant.